The Spring Starter program is a pre harvest program offered in September and is run over a 9 month period. 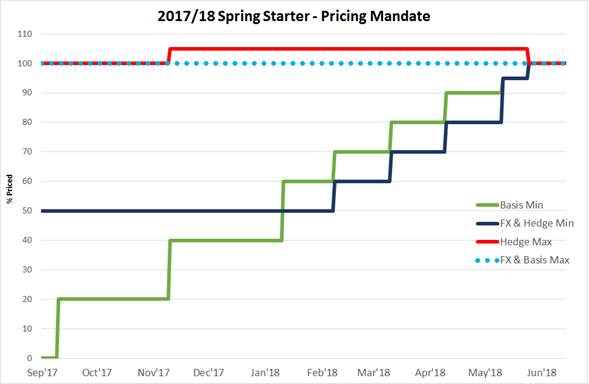 The Spring Starter pricing mandate is designed to ensure that the program can participate in market opportunities across the pricing window which commence when the contracting window closes. The Spring Starter Pool objective is to outperform average cash values across the marketing window. 2017/18 Spring Starter Pool is now closed. 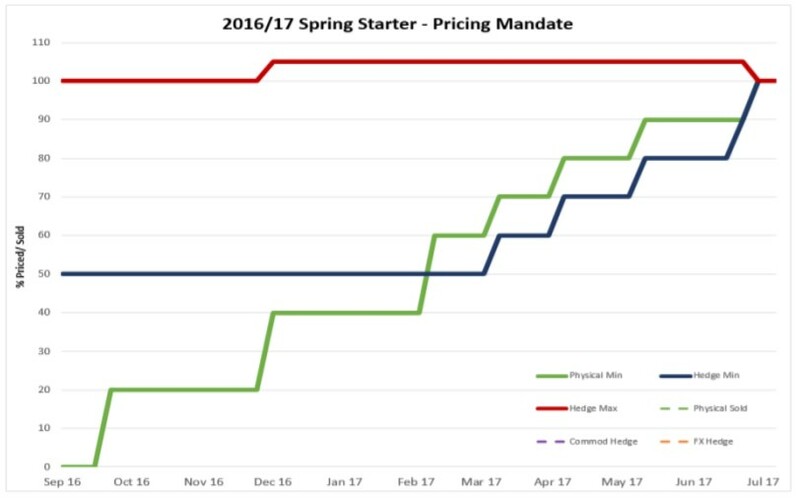 The pricing mandate in place for the Spring Starter Pool is designed to ensure that the pool can participate in market opportunities across the pricing window. The Manager has discretion regarding how to manage pricing (including physical sales and hedging) subject to the published pricing mandate. The Manager cannot commence selling and hedging prior to participants committing to the program and the manager will participate in both pre and post-harvest selling strategies.